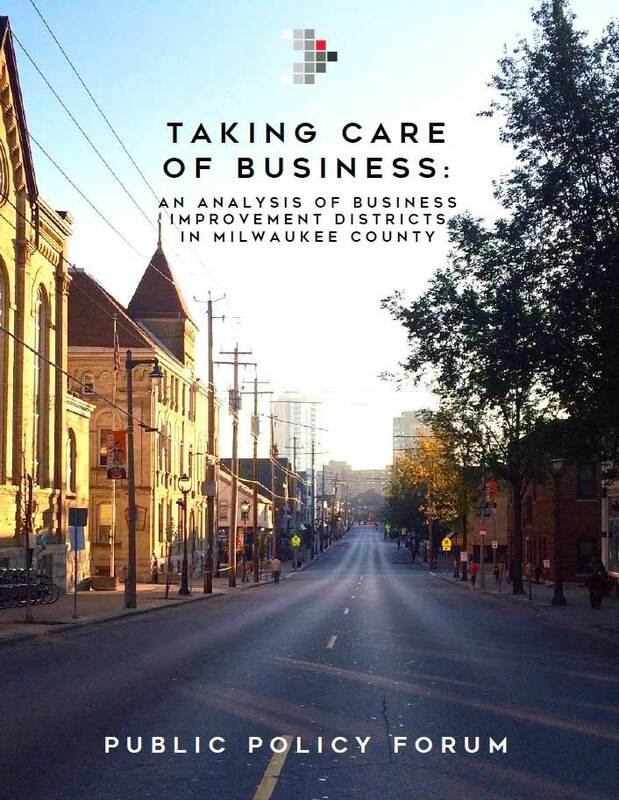 Our latest research finds that on a per capita basis, business and neighborhood improvement districts are more abundant in Milwaukee than in any other American city. We also find that notwithstanding their popularity, it is difficult to assess the effectiveness of local BIDs and NIDs due to a lack of available performance data. BIDs and NIDs can be created by property owners to co-invest in mutually beneficial services or improvements. In addition to possessing an unusually high number of BIDs per capita, the City of Milwaukee has a number of BIDs and NIDs that overlap with, or exist entirely within, other BIDs or NIDs. For example, Milwaukee’s Downtown BID overlaps with at least five other BIDs, which often overlap themselves. Milwaukee appears to be unique in this overlapping of BIDs and NIDs. The City of Milwaukee houses 39 of the 45 BIDs and NIDs in Milwaukee County. The properties contained within the City’s BIDs and NIDs have an assessed value of $5.7 billion, which accounts for 21% of the city’s total real estate value. The BIDs alone, which almost exclusively are made up of commercial properties, have a combined property value of $4.7 billion — more than half of the city’s total commercial value. Wisconsin’s BID and NID statutes are notable for the relatively low thresholds they set for district creation. In addition, creation and retention of BIDs in Wisconsin is largely determined by the support of property owners based on the percentage value of the property they own within a district, as opposed to majorities of the number of property owners. The report was authored by Chris Hillard, the Public Policy Forum’s 2016-17 Norman N. Gill Fellow. The Fellowship is an initiative funded by the family of Norman N. Gill, the organization’s director from 1945 to 1984. The Fellowship offers a Milwaukee-area graduate student the opportunity to conduct a policy research project under the tutelage of Forum staff while engaged in academic studies.